The siting of this hilltop home captures the expansive views of the valley below and appears to broaden the reach of sky above. 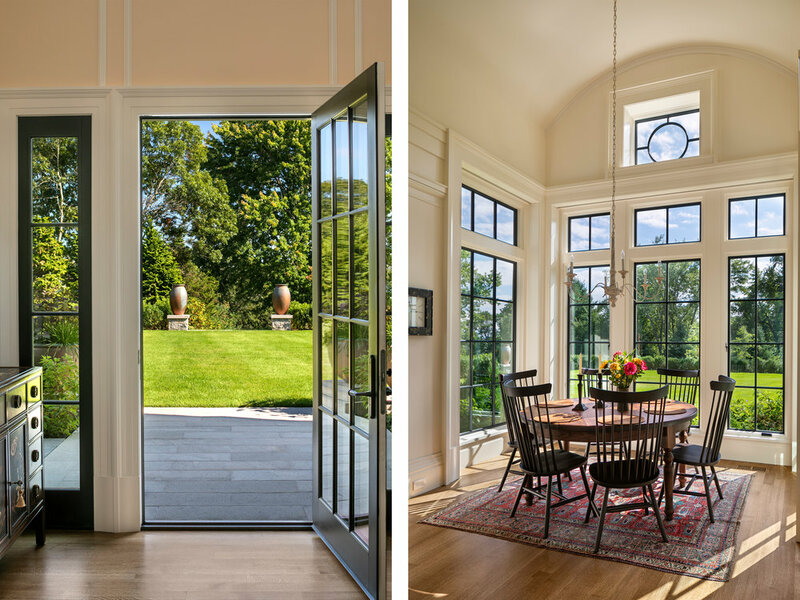 The design cues were taken from the intersection of classical architecture and contemporary landscape architecture to create a fully accessible home. The gardens are organized around a central axis aligned towards the longest vista. 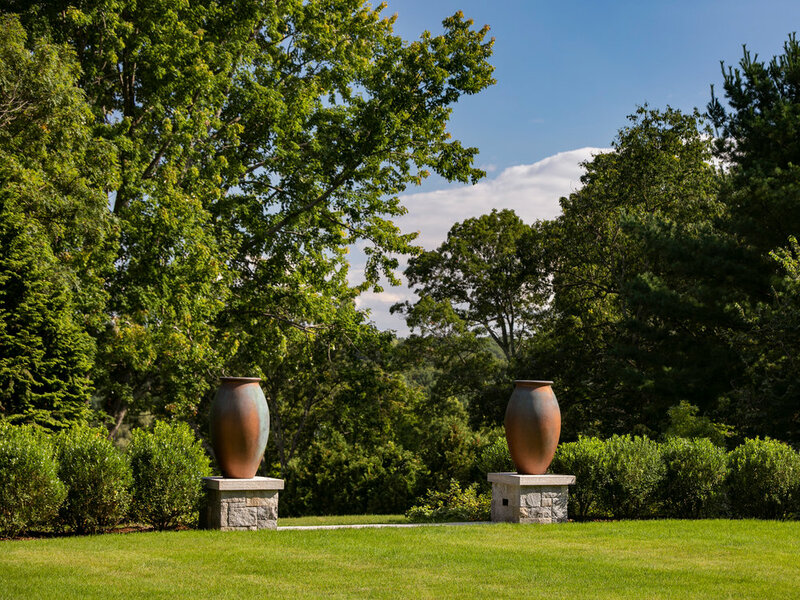 It begins within the tree-framed autocourt, continues through the front door, and extends out across the central lawn where two large, sculptural urns frame the view beyond. These urns are echoed along the axis by pairs of large planters for seasonal displays. 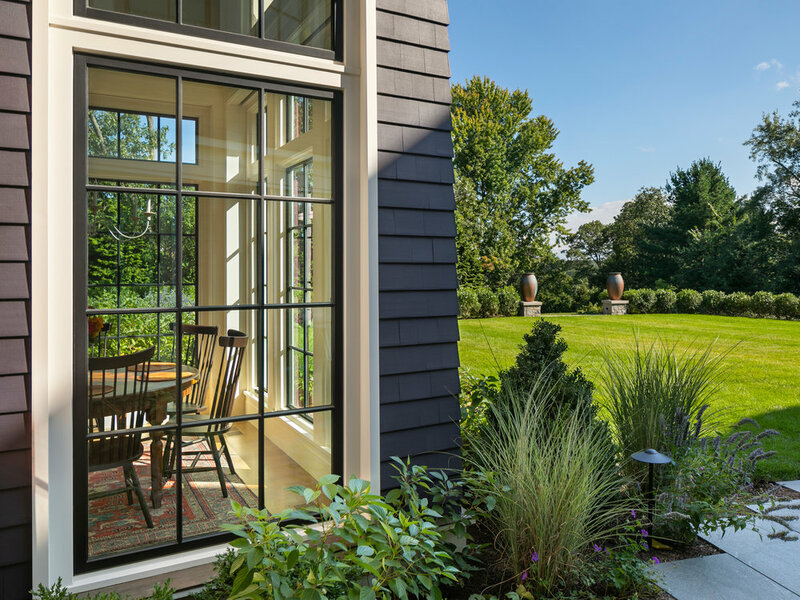 A terrace on the southern side of the home embraces a lawn and lush perennial garden outside of the formal living areas. 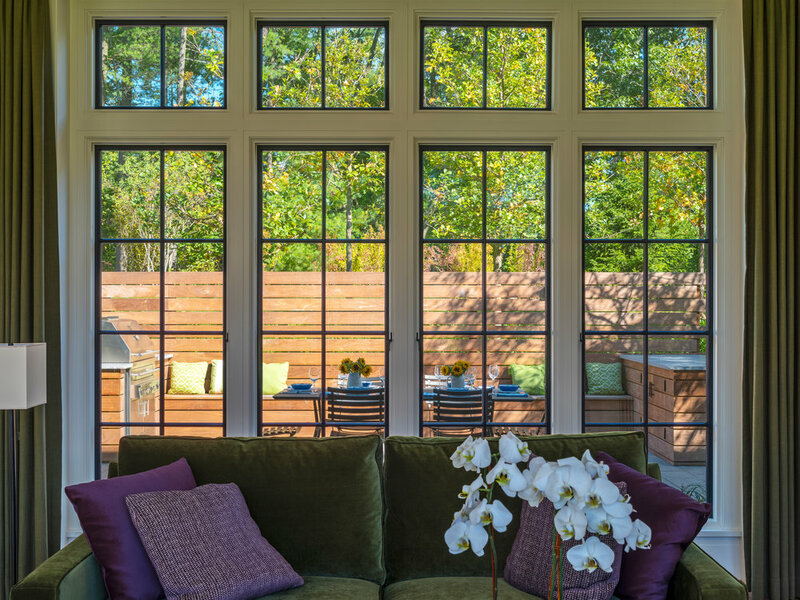 A “secret garden” located on the north side of the house parallels the kitchen, family room and screened porch. This garden offers respite during the heat of the day and is artfully illuminated for evening entertaining. 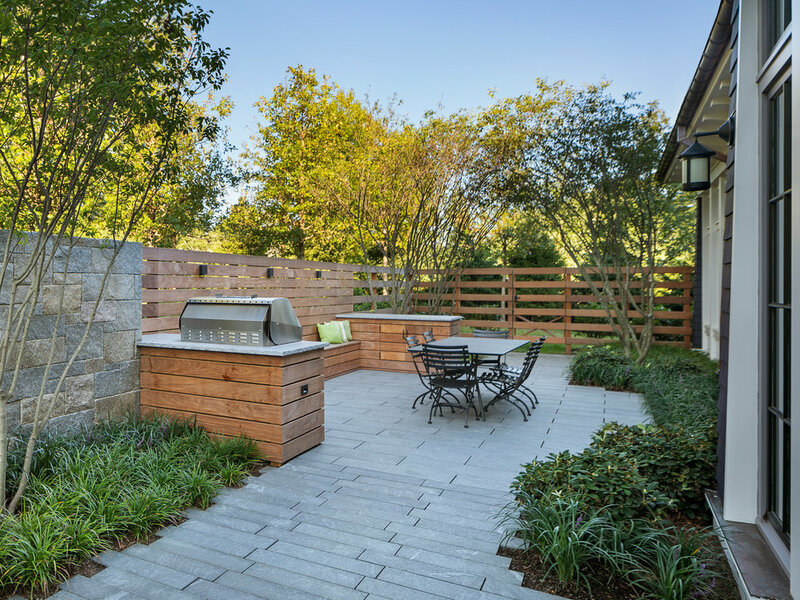 A simple fountain, aligned with the view from the kitchen sink, activates the space with movement and sound. 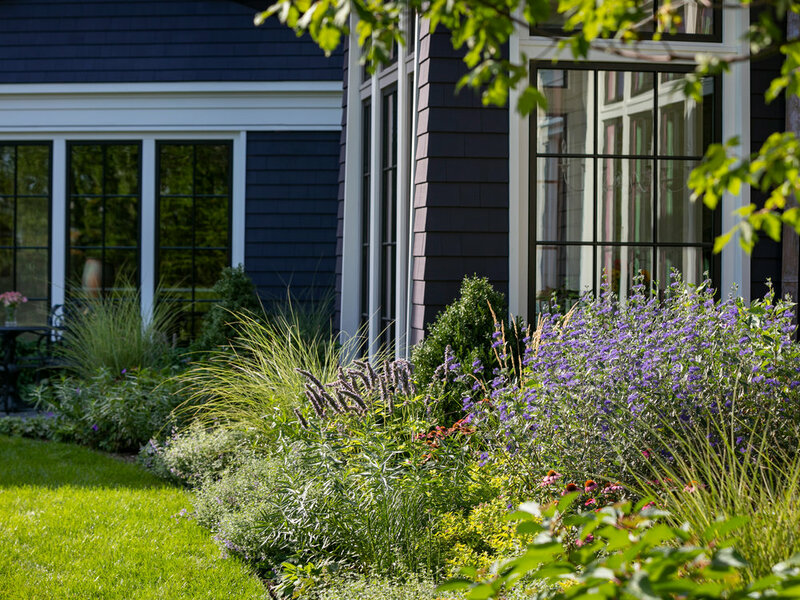 Throughout, planting is used to enhance the character of each garden. Framing the autocourt: specimen honey locusts (Gleditsia triacanthos); bounding the great lawn and framing the long view: a low evergreen hedge (Ilex glabra) with a seasonal counterpoint of red twig dogwood (Cornus sericea 'Kelseyi'); filtering the light in the secret garden: a bower of serviceberry trees (Amelanchier canadensis) under-planted with sweeps of flowering groundcovers. 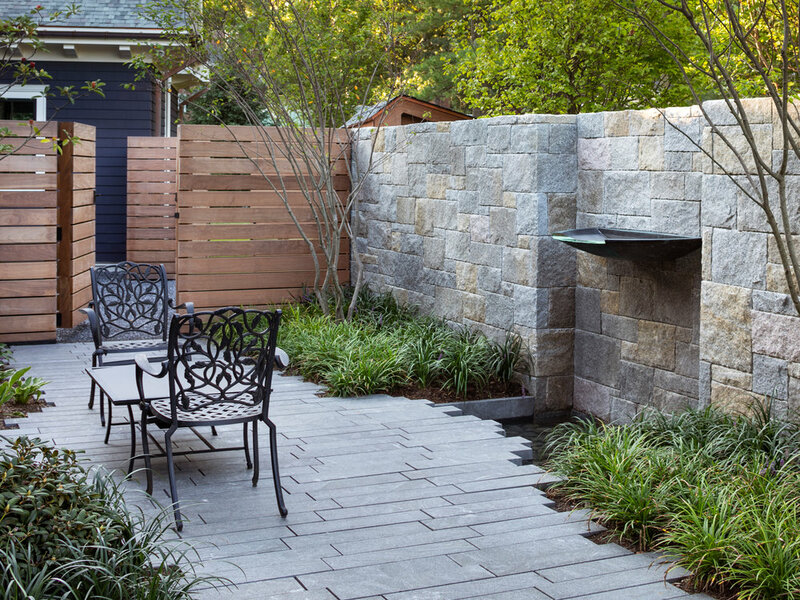 Mature evergreens are placed along the perimeter to provide privacy.